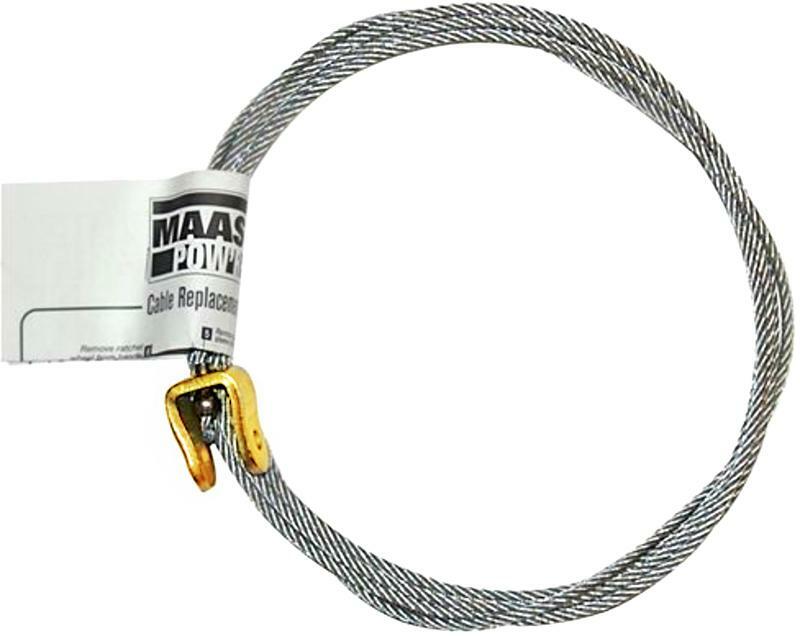 BRAIDED COTTON CLOTHESLINE Best seller, ties easily Withstands wear and tear Biodegradable & easy to handle Safe working load - 55 lbs. 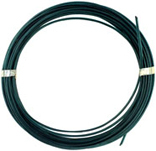 Hank 14 S-WA #6X100 COT CLOTHESLINE SIZE:#6 x 100 Ft. 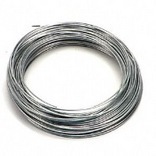 DIAMETER:3/16"
1/4 INCH X250 FEET GALVANIZED CABLE- 7X19" 1/4 INCH X250 FEET GALVANIZED CABLE- 7X19"
7 X 19 GALVANIZED CABLE 7 strands of 19 wires All purpose for agriculture & industry Not for aircraft use Galvanized wire On reels Do not exceed work load limits 1/4 IN. 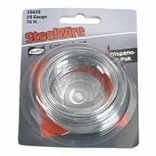 X250 FT. 7X19 GALV CABLE SIZE:1/4"x 250 Ft. WORK LOAD:1,400 Lb. 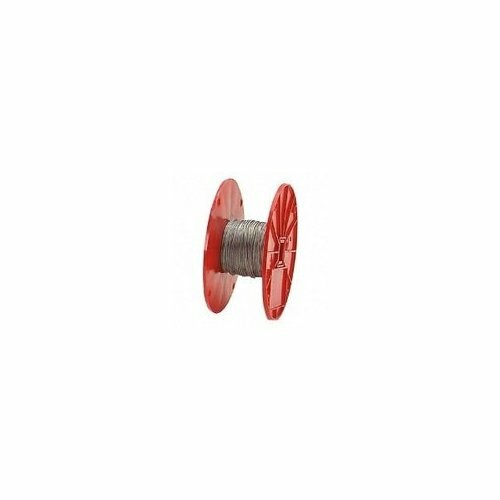 7 x 7 GALVANIZED CABLE All purpose for agriculture & industry Not for aircraft use Galvanized wire 7 strands, 7 wires per strand Do not exceed work load limit 1/8 IN. 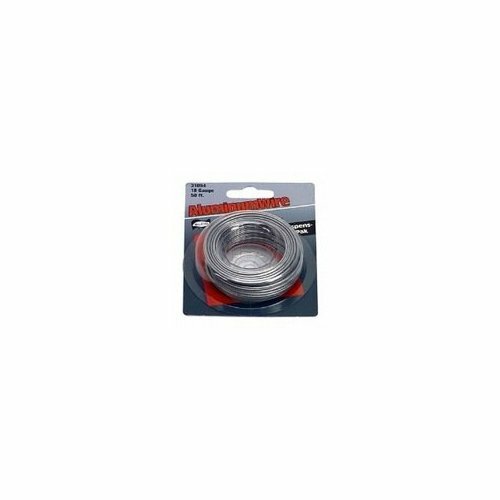 X500 FT. 7X7 GALV CABLE SIZE:1/8"x 500 Ft. WORK LOAD:340 Lb. 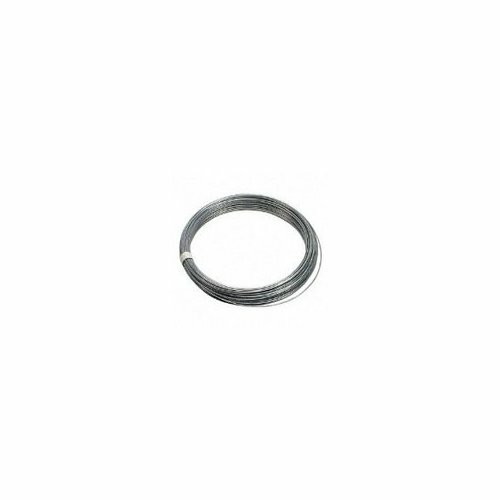 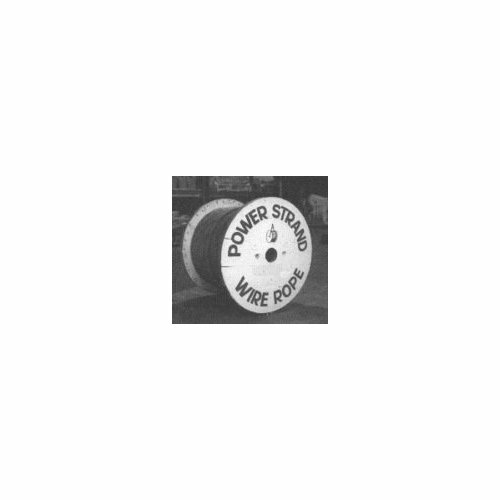 POWR PULL CABLE 12 ft. cable for S, SB & D 9700BX 12 FT. POW FT. R PULL CABLE SIZE:12 Ft.
7 x 7 GALVANIZED CABLE All purpose for agriculture & industry Not for aircraft use Galvanized wire 7 strands, 7 wires per strand Do not exceed work load limit 3/32 IN. 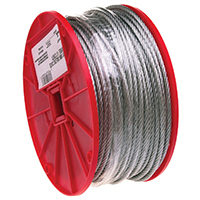 X250 FT. 7X7 GALV CABLE SIZE:3/32"x 250 Ft. WORK LOAD:184 Lb. 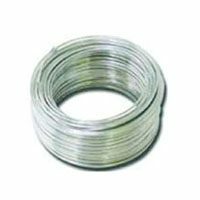 7 x 7 GALVANIZED CABLE All purpose for agriculture & industry Not for aircraft use Galvanized wire 7 strands, 7 wires per strand Do not exceed work load limit 1/16 IN. 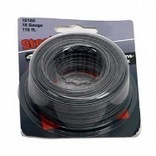 X250 FT. 7X7 GALV CABLE SIZE:1/16"x 250 Ft. WORK LOAD:100 Lb. 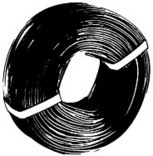 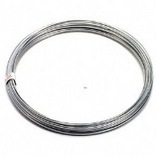 7 X 19 GALVANIZED CABLE 7 strands of 19 wires All purpose for agriculture & industry Not for aircraft use Galvanized wire On reels Do not exceed work load limits 3/16 IN. 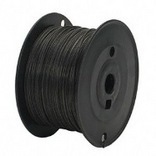 X250 FT. 7X19 GALV CABLE SIZE:3/16"x 250 Ft. WORK LOAD:840 Lb. 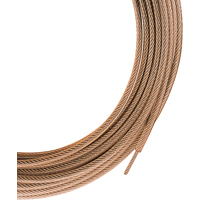 PACKAGED BULK WIRE Self service packaged wire Great for a variety of uses Galvanized solid wire 122060 16GA 200 FT. GALV WIRE SIZE:16 Ga. 200 Ft.
CLOTHESLINE WIRE Green plastic coated steel Boxed loose 2575BC 50 FT. CLOTHESLINE WIRE SIZE:50 Ft.
7 x 7 GALVANIZED CABLE All purpose for agriculture & industry Not for aircraft use Galvanized wire 7 strands, 7 wires per strand Do not exceed work load limit 3/16 IN. 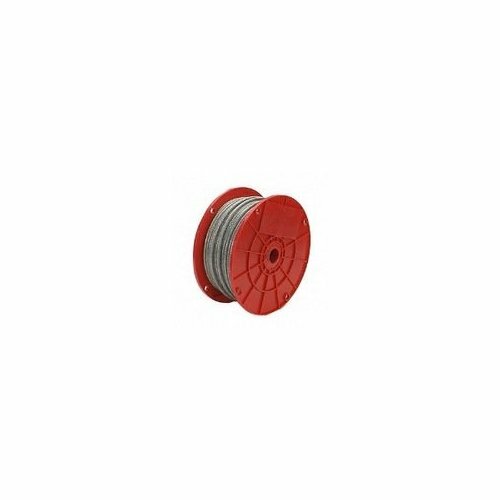 X500 FT. 7X7 GALV CABLE SIZE:3/16"x 500 Ft. WORK LOAD:740 Lb. 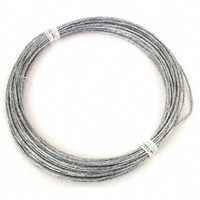 V2571 FLORAL STEEL WIRE Used for crafts, art projects and various - home projects Wraps around itself and is self tying Made of steel material with a green finish V2571 24GAX100 FT. FLORAL WIRE SIZE:24 Ga.x 100 Ft. LOAD LIMIT:10 Lb. 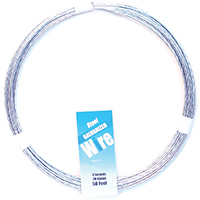 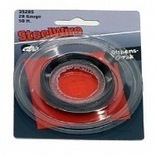 V2566 ALUMINUM WIRE Used for crafts, art projects and various - home projects Wraps around itself and is self tying Made of aluminum V2566 AL 18GAX50 FT. WIRE SIZE:18 Ga. x 50 Ft. LOAD LIMIT:30 Lb. 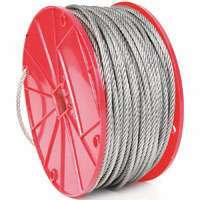 SELF COILING CABLE Woven steel cables for strong cut resistance Strong loops for use with Master Lock padlocks Protective coating helps prevent scratching Flexibility for convenience Self-coiling for storage convenience Outside diameter of coated cable: 1/4" 65D SELF COILING CABLE SIZE:6 Ft.
7 X 19 GALVANIZED CABLE 7 strands of 19 wires All purpose for agriculture & industry Not for aircraft use Galvanized wire On reels Do not exceed work load limits 3/16 IN. 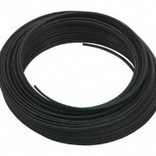 X500 FT. 7X19 GALV CABLE SIZE:3/16"x 500 Ft. WORK LOAD:840 Lb.